Look what I let myself in for! Today I’ll be fitting the top rail (he said simply!). It is causing quite some consternation amongst passersby. 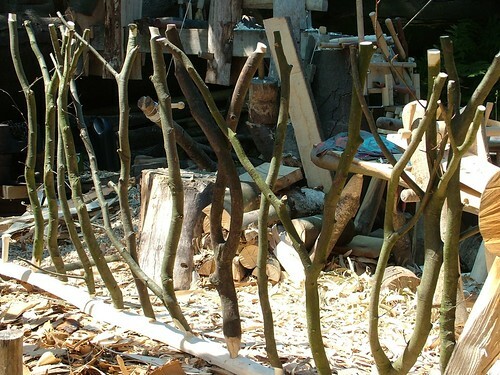 Someone asked whether it was the beginnings of a ladder (Heh?). Most just stare distracted. 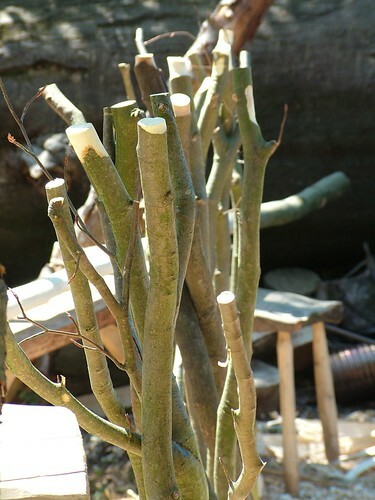 Already starting to colour up as the timber is alder (that accurséd tree). Then I took out the saw and hey presto! 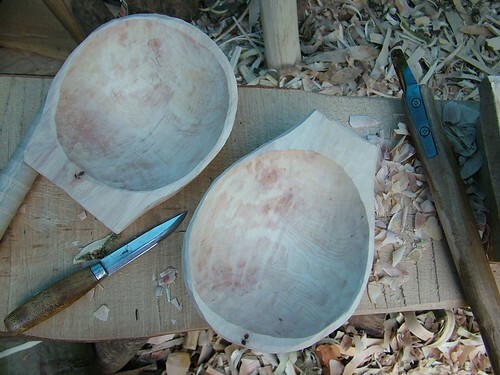 They took about two hours in all, which should just about squeeze down to £20 each, as my larger bowls seem to be meeting price resistance. The mini charcoal burn was a failure. Just closed it down too early so the kiln was full of brown ends and hardly any charcoal. Just have to fire it up again and leave it a bit longer with a higher burn rate I think. This entry was posted in Green woodwork, hand made and tagged charcoal, greenwood balustrade, round wooden bowls by Flying Shavings. Bookmark the permalink. 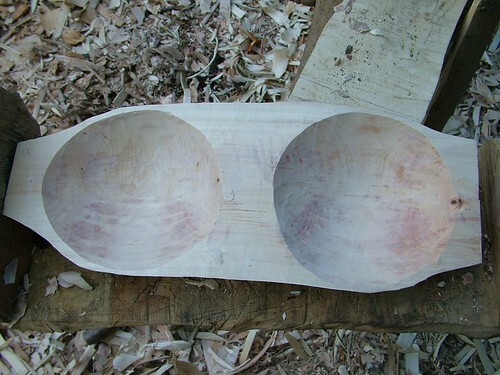 I think the two bowls looked good before you sawed them apart! Yeah Robin, I was a bit torn, but I specifically wanted smaller bowls for the price point. Looks a bit like an old fashioned till when they were connected!